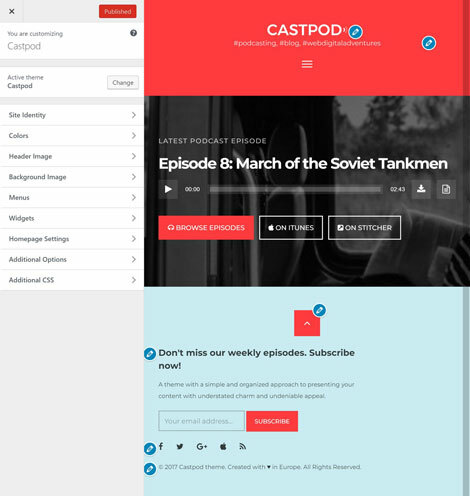 Castpod: a beautiful podcasting theme that works with iTunes, Google Play, and Stitcher. It lets you import external podcasts and sell products with WooCommerce. 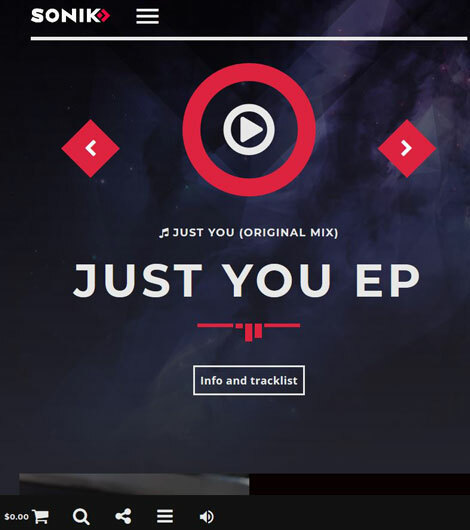 Soundbyte: a drag & drop audio player theme with e-commerce support. It is responsive and comes with sticky header and adjustable footer. It can create iTunes and Google RSS feeds for your Podcast easily. 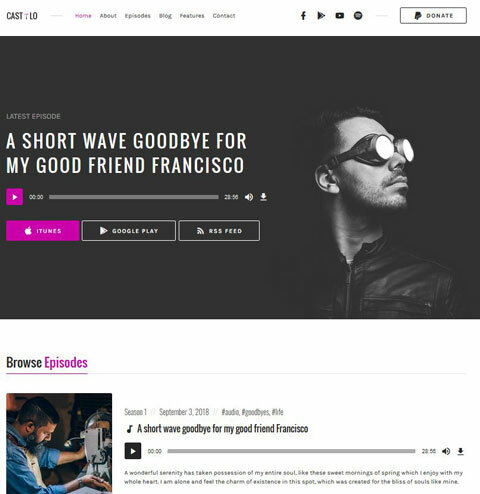 Castilo: a beautiful WordPress theme with a HTML audio player. It provides you with statistics, so you can figure out how many people listen and where. It allows you to extract episodes from an external feed. Podcaster: a simple template for creating and managing a website for your podcast program. It is responsive and ready for retina displays. Podcaster is compatible with Blubrry and Seriously Simple Podcasting plugins. SKRN: a media streaming WordPress theme powered by ARMember. It supports free trials and paid membership plans. Lets you restrict your premium shows and content and accept payments through PayPal and other gateways. 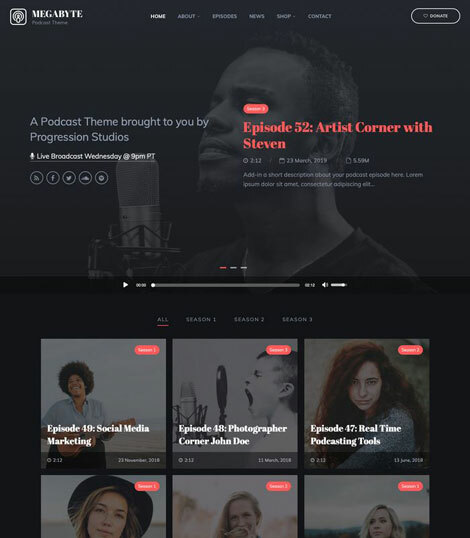 Radio Station: a drag & drop WordPress theme for radio stations and podcast programs. It is responsive and comes with a bunch of pre-made pages, so you can get started faster. 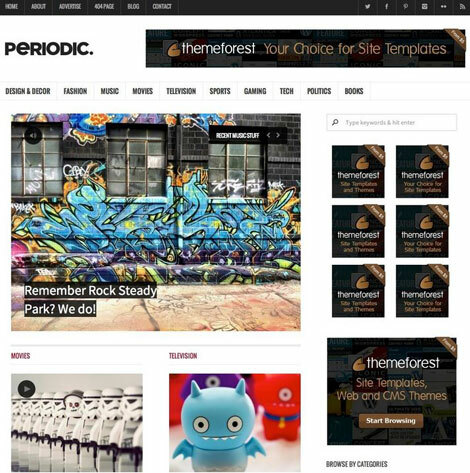 The theme comes integrated with Google Fonts. 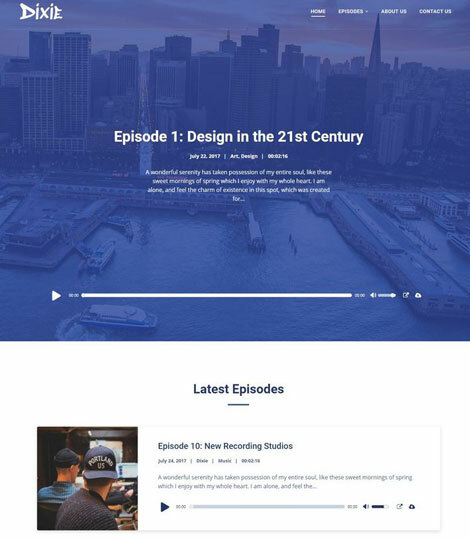 Dixie: an Elementor WordPress theme for podcasters. It is responsive and ready to be translated. It supports locally hosted files and external audio content from SoundCloud, MixCloud, YouTube, Libsyn, PodBean, and Spreaker. Megabyte: this theme is tablet & mobile friendly. It can be customized via drag & drop. It is ready for e-commerce. Lets you easily create iTunes and Google RSS feeds for your podcast. 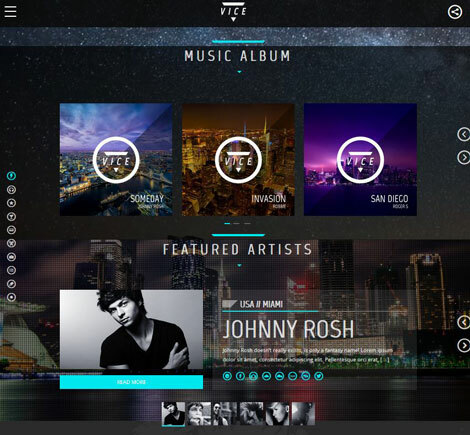 SONIK: a responsive music theme for bands, radio stations, singers, and clubs. It has a dynamic music player with playlist and animation. Works with WooCommerce. Lets you easily manage your top 10 charts and share your schedule with the world. 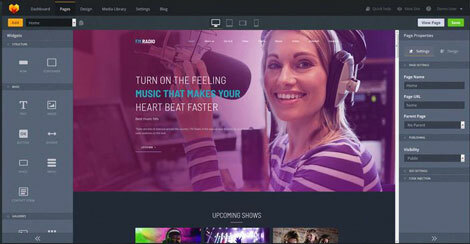 Onair2: another WordPress theme for radio stations. It is compatible with Shoutcast, Icecast, and other streaming services. It comes with a mobile ready radio schedule, show schedule, top charts, WooCommerce integration. Viseo: a drag & drop theme with mega menus, sticky heater, and e-commerce support. It is ready to be translated. 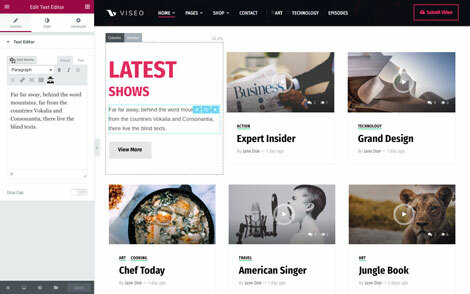 It can handle news, videos, and podcast programs. 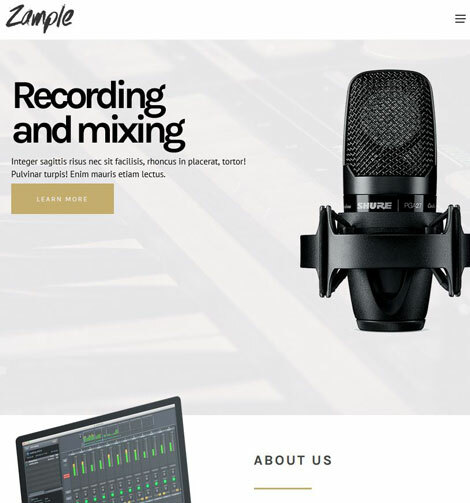 Zample: a one-page music theme with video & photo galleries, playlist manager, 8 homepage layouts, 14 slider templates, AJAX shopping cart, and everything you need to build a clean website. It supports embeds from Spotify, Soundcloud, Mixcloud, and Bandcamp. 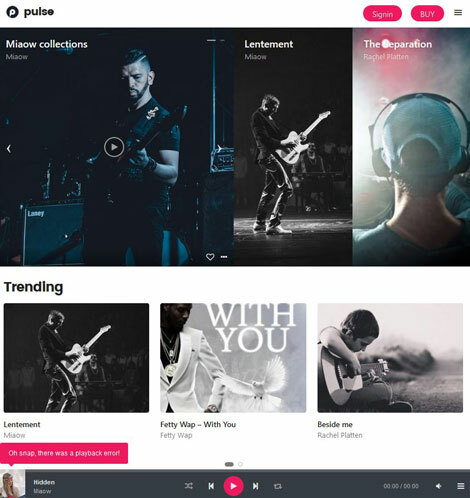 Pulse: a music and radio theme that lets you sell audio files on your site. It is powered by AJAX and works well on mobile devices. It has dark & white styles. Supports RTL languages. Periodic: comes with a HTML5 audio players. It supports embeds from YouTube, Vimeo, and other sites that support oEmbed. 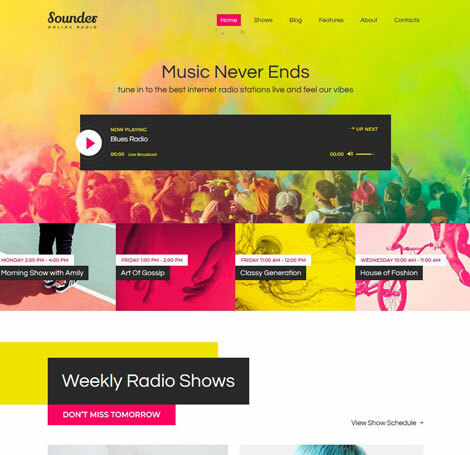 Sounder: an online radio WordPress theme with 3 homepage layouts. It is powered by ThemeREX addons and comes with a drag & drop footer & header builder. Sounder has over 750 Customizer options. It is compatible with WPBakery Page Builder. 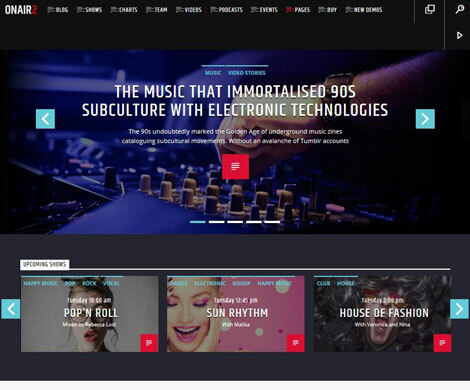 Vice: this theme is developed for radio stations, singers, musicians, and other artists in general. It has events map, release carousel, podcast carousel, and other dynamic modules. It has a transparent glass design ready for Retina displays. It also has an off canvas menu system. 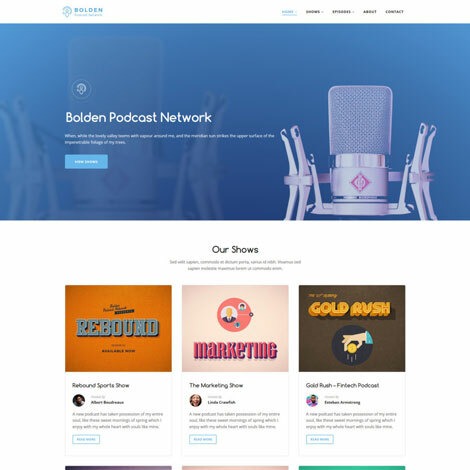 Bolden: a commercial WordPress theme for podcast networks. You can use the Elementor page builder to customize it. Supports Libsyn, Podbean, Spreaker, and other external embeds. It supports RTL languages. 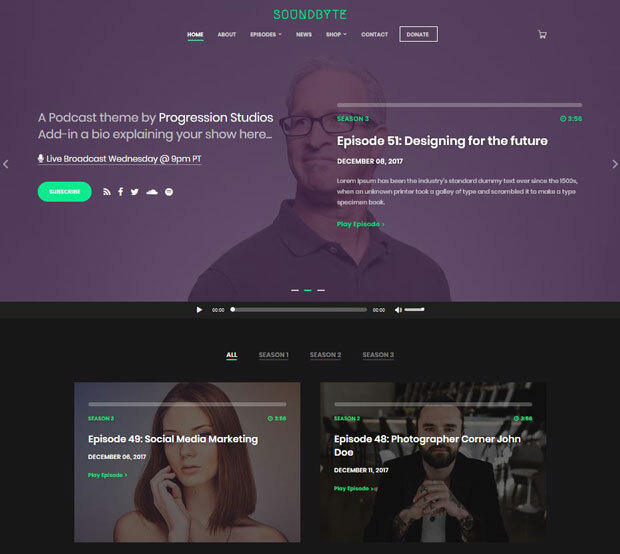 Have you found more attractive podcasting WordPress themes? Please share them here.